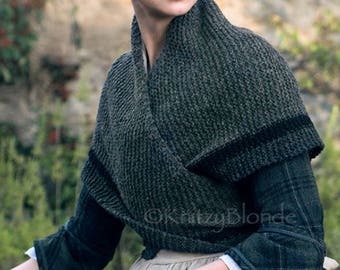 Wrap up in this lovely, hand knit, triangle shawl and look just like Claire on Outlander! 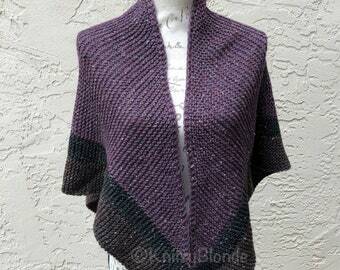 It is hand knit just for you in your choice of 4 different color combo options in a lovely tweed Highlands Wool. 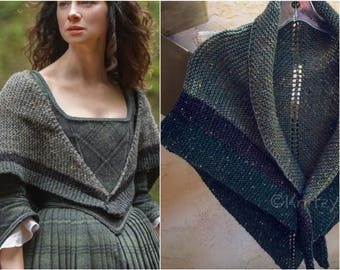 Please use the drop down menu to choose your colors before placing your order. 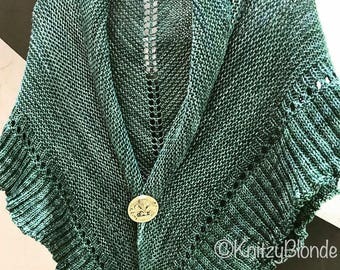 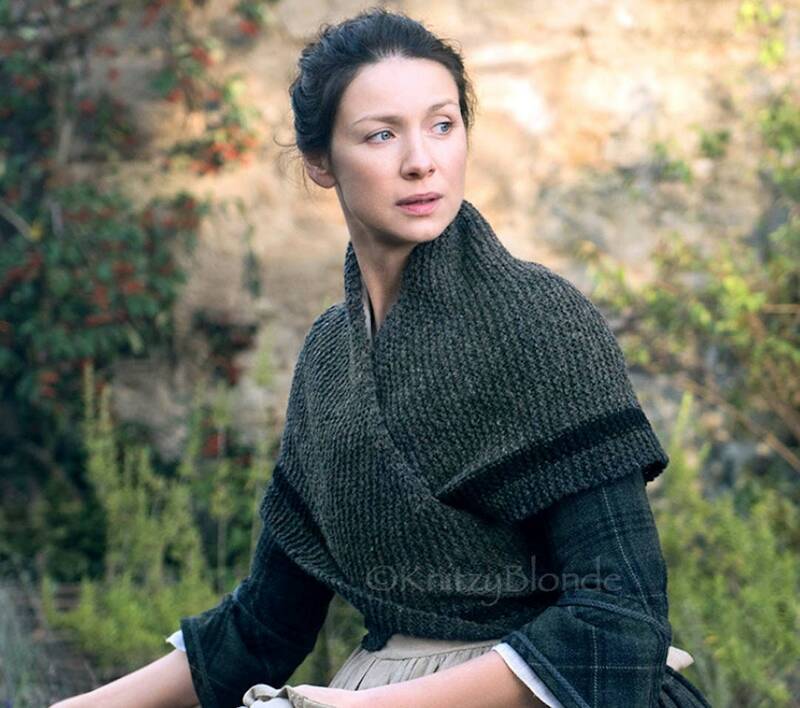 The Green/Black/DkGreen option is the most like the shawl that Claire wears on the show.